One of the nice things about this part of the world is the attachment to festivals. Pretty much every community seems to have its village fair, summer festival or autumn fête, with its line-up of local voluntary groups, almost always including the volunteer fire brigade of course, plus entertainment for the children, maybe music for the adults, and stalls selling cakes, coffees, and bratwurst. 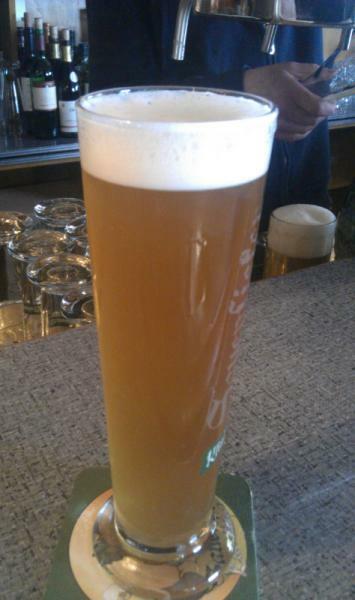 A more recent addition to the roster – as far as I can tell, anyhow – is the brauereifest, or brewery festival. It seems to be part of a rekindled interest in localism, local businesses and local produce. Even the big boys have got into the act, with Carlsberg-owned Holsten promoting its third annual brauereifest back in April under the slogan "Hamburg is Holsten and Holsten is Hamburg". 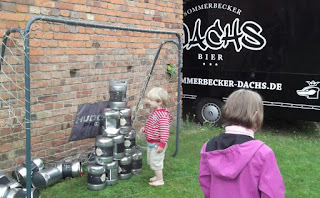 I couldn't get to the Holsten one, but last weekend we visited not one but two rather smaller brauereifests, the first at the Klindworths brewpub in the countryside southwest of Hamburg, and the other at the tiny village of Sommerbeck to the east of Lüneburg, where the Sommerbecker Dachs (Dachs=Badger) microbrewery is based. 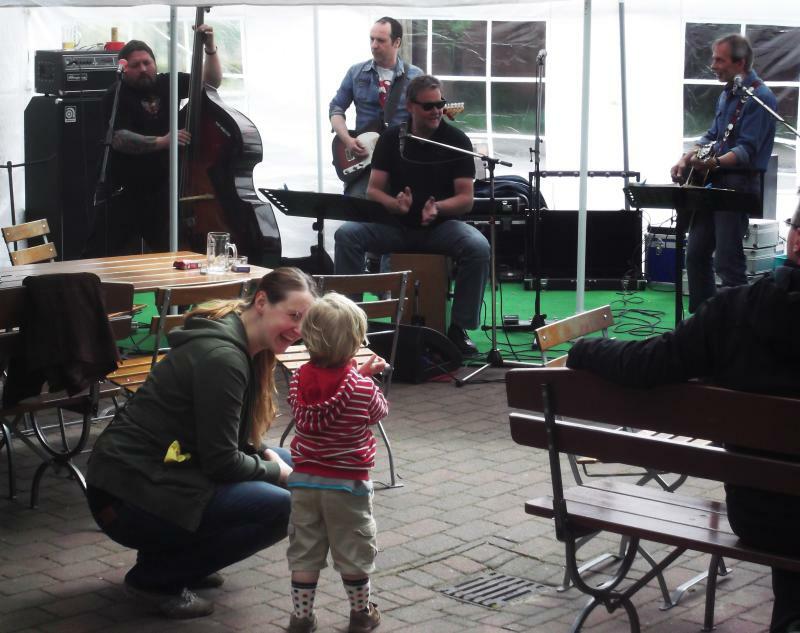 The basic format for all three events was pretty much as you'd expect: a family fun-day, with live music, beer and food. 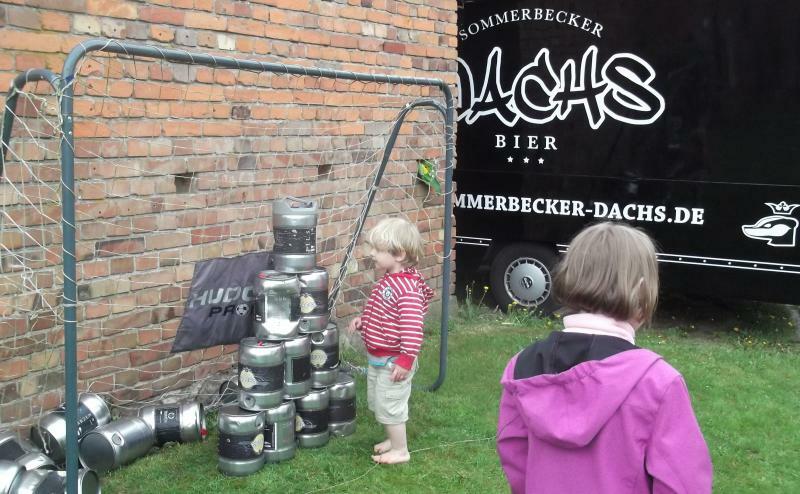 It's not so much about the brewery itself, although tours are sometimes on offer, as it is about asserting its connection with the locality. For example, as the village pub for some 350 years, Klindworths invited all the locals to come and be photographed for a village project. Both the brauereifests we went to were good fun, though they were noticeably different. Klindworths was very local, yet friendly to us non-locals. The afternoon music – pub-rock covers – was excellent and lively, the beer garden was roomy and sufficiently sunny, and Niko's beer was as excellent and characterful as ever. As well as the regular Landbier Pils, on tap were the frisky 2013 Maibock, with citrus and gingery hops, and the rich and slightly chocolatey brown Stout. I was tipped off too that if I went inside, the Weizenbock was on, which was delicious and Cascade hoppy (that's the brewer's hand you can see in the photo below, pouring the next one). They did a really great job of entertaining the kids too. Among other things, there was a superb balloon artist – Roric went back time and again, coming back first with not only a balloon sword but a balloon swordbelt for it, and then later with a complete balloon aeroplane and pilot – plus a pile of hay with sweeties hidden in it, and a raffle-type game. Where Dachs scored was the variety of food stalls around. As well as the inevitable (and good) sausages, there was a specialist chips and fried potato (bratkartoffel) van, and a cake stall. The beers – their regular Pils and Marzen, plus an Oktoberfest called Okti, and Schwatt which is apparently dialect for schwartz – are very nice in a crafted mainstream way. The kids certainly appreciated the bouncy-castle and football games, at least until the rain started. Sommerbeck was also more crowded, even before the rain forced everyone undercover and made it worse. I think they had publicised it more widely – there certainly looked to be a good few Hamburg yuppies present. With the summer fair season only just getting going now, we are looking forward more events of the kind!